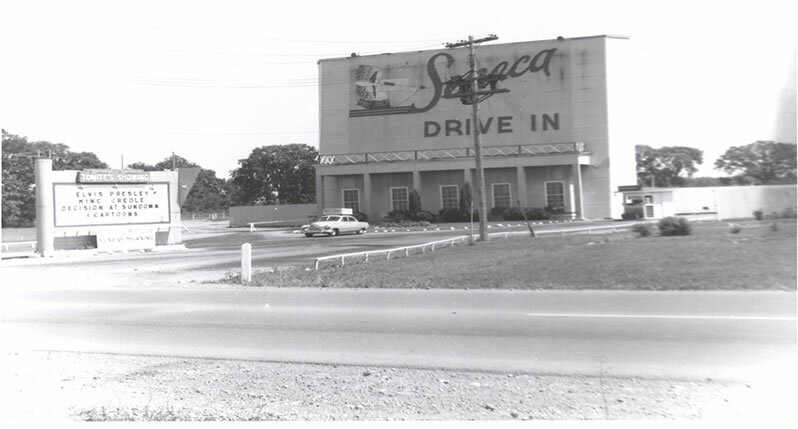 Seneca Drive-in Theatre in Geneva, New York - Photo from 1958, courtesy of the Geneva Historical Society. Welcome to NewYorkDriveins.com, the home for New York State's Drive-in Theatre History, past and present. There were no less than 184 confirmed drive-in locations which opertated in New York state between 1938 and 2009. Of all those, only 28 were still operating seasonally in 2010. The purpose of this website is to document and preserve the history of an American cultural icon, the Drive-in Movie Theater, and also to promote the remaining drive-ins that strive to carry on the outdoor movie tradition. Support your local drive-ins by attending them diligently when they are open, and purchase your refreshments at their concession stands. When you spend your entertainment dollars at a drive-in movie theater, that is a vote in favor of keeping them around, and every vote matters. The drive-in movies are your best value for quality family entertainment, anywhere. This page was last updated on October 25, 2010.